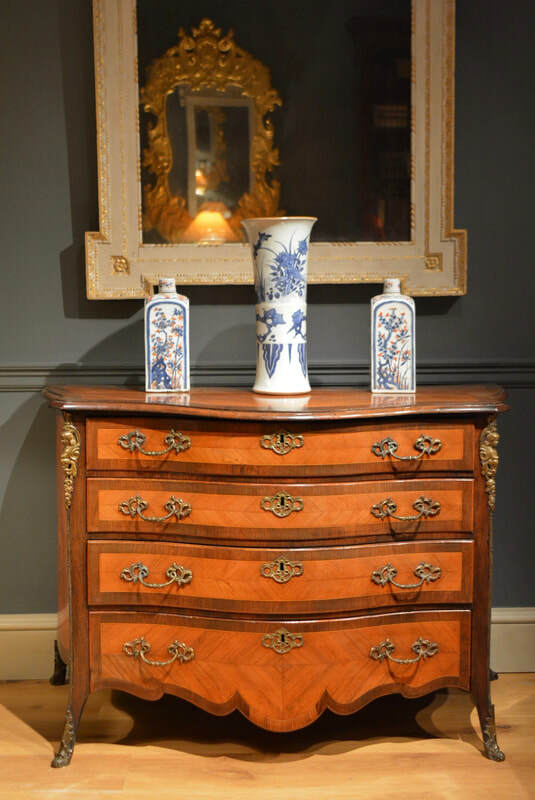 A George III Serpentine Chest attributed to Gillows. A small early 18th Century lacquer bureau bookcase. A fine small George III mahogany serpentine chest of four drawers, having blind fret to the canted corners, the drawers with Rococo handles and escutcheons, standing on bracket feet. 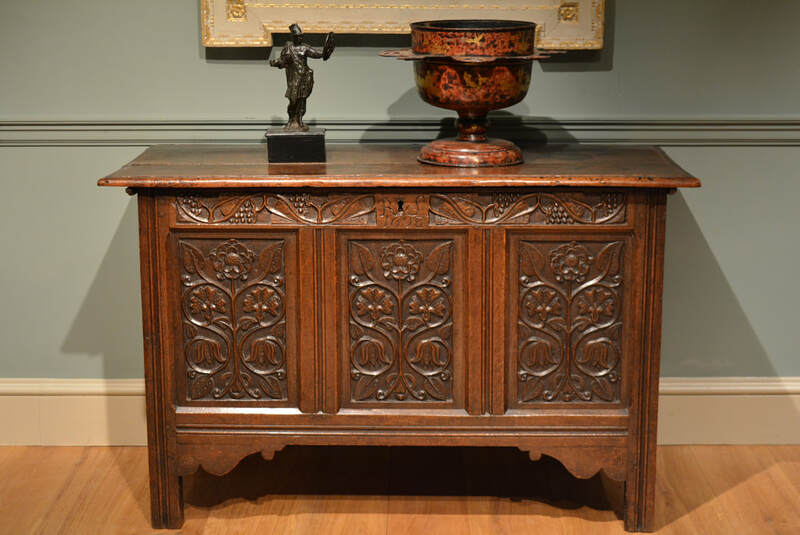 This piece has finely figured veneers of excellent colour and patination. English circa 1770. A good 18th Century mahogany tallboy in two sections. The drawers and brushing slide retaining their original brasses, the mouldings finely carved as are the feet with strong Rococo inspiration. Circa 1750. ​A good 18th Century mahogany tallboy in two sections. A mahogany breakfront bookcase having a broken arched pediment and dental frieze above four glazed doors, the lower section having crossbanded fielded panels, carved rosettes to the corners, the whole standing on a plinth base. Circa 1760. A George III mahogany low two door side cabinet, the fielded panel doors having their original Rococo escutcheons, the top and base moulds finely shaped standing on a plinth, the interior containing two adjustable shelves. This piece has particularly good colour and patination. English circa 1760.